Now, we are at the 3rd recipe in our Lemang & Ketupat series. Today, we'll be showing you how to make a mask for deep nourishing and cleansing properties. We start with Jojoba lotion base that lets your skin get moisturise. n this recipe, we chose kaolin clay that soaks up excess oil and sebum from within the skin. Keeping with all the recipes in this series, we use sage leaf essential oil to promote healthy and clean skin from it's anti bacterial properties. 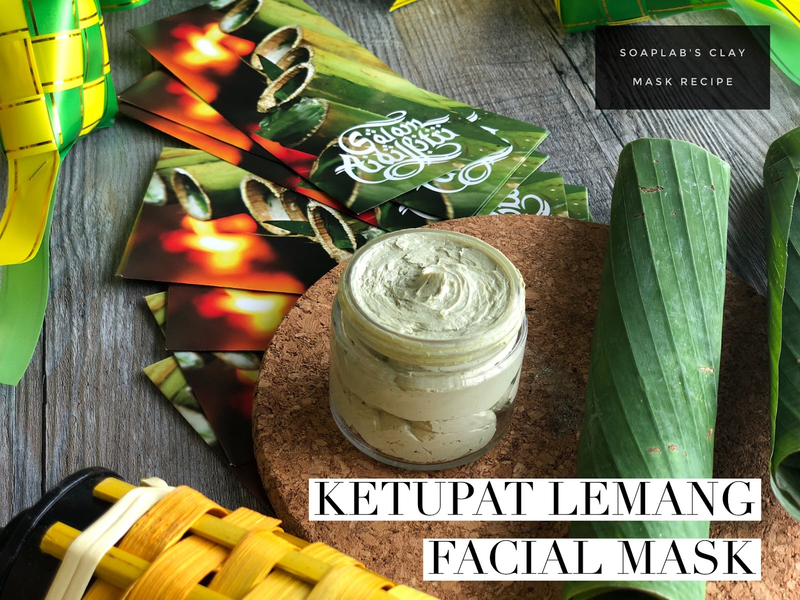 Finally, aloe extract to ensure your skin is thoroughly moisturized and remains soft and supple so that you could look your best on ‘pagi raya’.